Weeknight dinners are always a challenge in my house, with my kids doing sports after school, I always try and cook to suit my schedule on those days. On my daughter's dancing nights I try to do things that are easy as she gets home after 8pm and I don't want to be cooking or eating too long after she gets home. 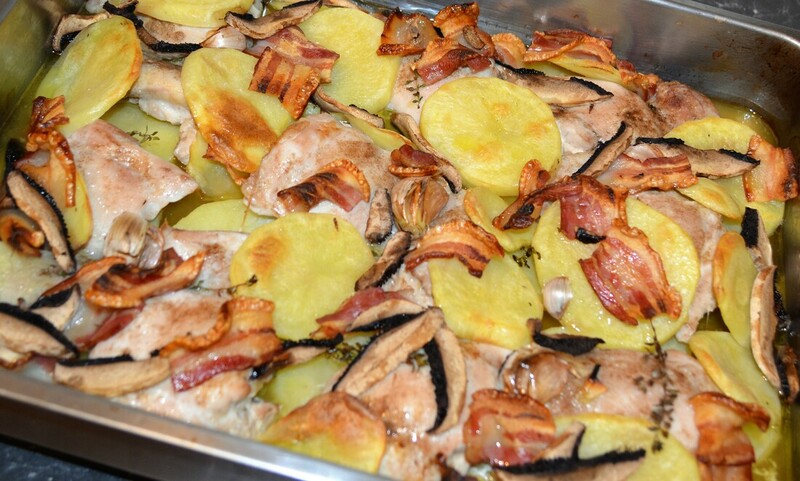 You can easily make this for more people, I added an extra potato and more mushrooms, as we love it. I used portobello mushrooms here. Please don't use normal bacon, look for the streaky bacon which is far superior in flavour to standard bacon.